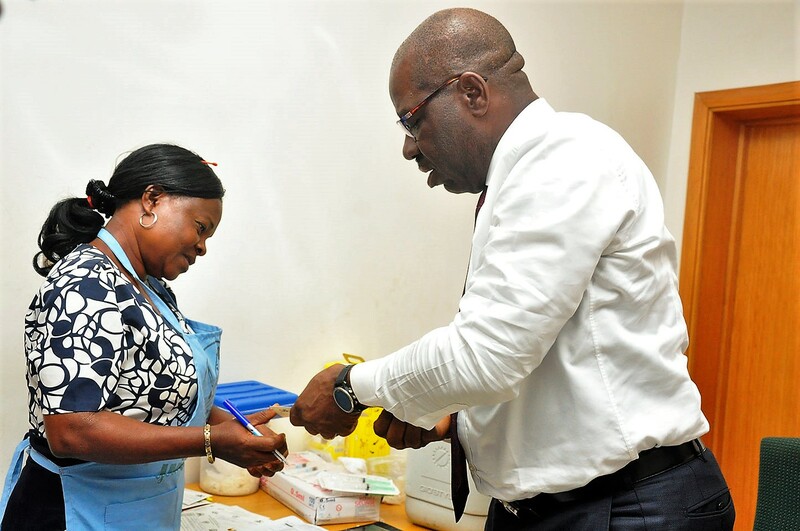 The Edo State Governor, Mr. Godwin Obaseki, has charged residents of the state, aged between nine (9) months to 59 years, to ensure they take the yellow fever vaccine, to inoculate themselves against the disease. The state government has also taken delivery of three million doses of vaccine from the Federal Ministry of Health in response to the yellow fever outbreak in the state. 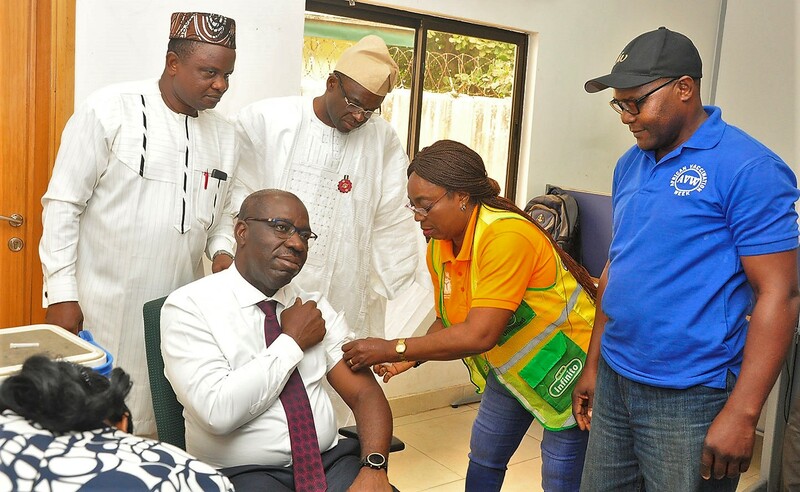 The governor gave the charge when he led members of the State Executive Council (EXCO) on a vaccination campaign in Benin City, at the end of the weekly EXCO meeting at the Government House, in Benin City. Addressing journalists after taking a shot of the vaccine, he said the yellow fever vaccination campaign was ongoing across the 18 local government areas of the state. He commended the Federal Ministry of Health for the prompt response to the disease outbreak in the state. He said that the state government has provided logistics to get the vaccine to every part of the state, especially where outbreak of the disease was recorded. “We had the unfortunate incident of yellow fever outbreak in some parts of the state a couple of weeks ago. It is a deadly aliment. Within a short period, we lost a number of persons. It is highly preventable; all you need is to be vaccinated against the virus,” he said. “I just got vaccinated; it doesn’t hurt. Once you take a dose, you are vaccinated for life,” he assured.